Want to have your own Strategy Party? We’re excited about sharing with you the step-by-step process for your Strategy Party below. You will need about an hour or so, a quiet space, maybe a candle, some colorful pens, 10 blank sheets of paper, and if it suits you, music of your choice to uplift the spirits. Note, that writing is a great way to explore your own motivations and dig deep, so you will do quite a bit of it to complete this exercise successfully. Step 1. 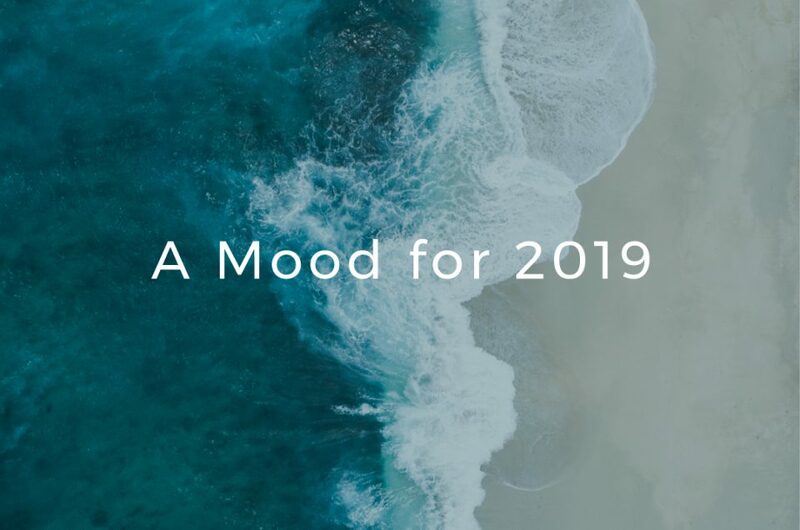 Decide on the mood for the year. Refer to the worksheet below and fill in the blanks. You can also check out our blog post Let’s Get Moody for more. Step 2. Choose 8 Priorities/Life Areas you would like to concentrate on for the next 3-6 months, NOT the entire year. If some of your priorities don’t make the 3-6 month window, don’t worry, you can work on them later on. Remember you can’t successfully work on all of your priorities at the same time. Life Area Examples: Creative Expression, Spirituality, Home Environment, Career, Money, Friendships, Marriage. Add your selections to the Wheel of Life worksheet (ref. below.) This will give you a helicopter view on your life at this current moment so you can clearly see how to bring things back into balance if needed. Rate your Life Areas as they are now, from 1 to 10. 1 being not much is going in that area, to 10 being that you are happy and satisfied with how things are going. Next, think about where would you like to be in the next 3-6 months. We recommend not aiming for 10 in all areas as that could set you up for failure. Instead, consider making an incremental improvement in each area based on where you are today. Refer to the worksheet below. Column 1: Priorities List your priorities by tier. The top 3 are the most ‘Essential’, followed by ‘Important but Not Critical’ and the final tier is for your ‘Just There’ priorities. Column 2: Inspiration Can you think of a feeling or emotion that drives you toward accomplishing these priorities? Tapping into what inspires you will go a long way toward motivating you to work on your priorities. Column 3: Big Why? Think about why you have listed a priority? Answering your big why will help you clarify if you’re doing something because you truly want to or you’re doing it for something or someone else. The more connected you are to your WHY, the greater the chance you can accomplish what you set out to do. To complete your Roadmap you’ll want to begin by completing the final column first ‘BIG Vision.’ Starting with your vision will make breaking down your actions/priorities a lot easier. Starting with your priorities will make your daily, weekly and monthly planning much easier. You may be wondering when you should have your Strategy Party. Although you can have one any time of the year, the beginning of the year is always a great time to start. And you may even decide after completing the exercise that you want to share it with friends and family. Whether you choose a solo party or a small group one, we promise it will be a great way to kickoff 2019!